An iron security door is a sound investment that most people tend to overlook. An iron security door not only ads elegance and character to you home, but it gives you the security you need and gives you the peace of mind that you invested in your families safety. Signature Iron doors has numerous designs options to choose from that can match any homes style or customers personality. 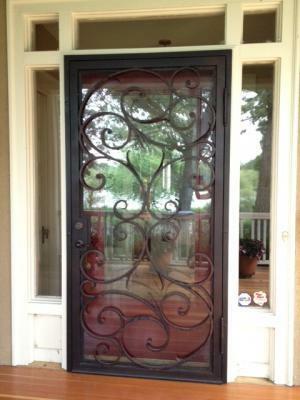 So many people can not replace their doors with an iron entry door due to HOA rulings and other red tape. That means that an iron security door is a great alternative and with numerous glass options you can create the perfect look for your home. Visit us on our website and contact us to find out just how Signature Iron Doors can help you turn your house into your "home".